Animals photography is one of the most simple kinds of photography (at least beginner photographers think that there’s nothing but waiting and flicking). You don’t need to ask models to turn their heads to the right, to explain them how to strike poses for the camera. Animals don’t care about you – they just lay, jump and stare. That’s a huge advantage of animal photography over shooting in studios when you get models involved in the work. Not so many photographers have a chance to go out of town and shoot animals in the wild other than field mice and crows. There are many people living in towns and cities which know about the wild nature only from books, Facebook photos that their friends publish and from a zoo. Zoo is a great place to practice in taking photographs of tigers and bears, so lets talk about it just a little. Don’t be in a hurry to go to a nearest zoo right now! 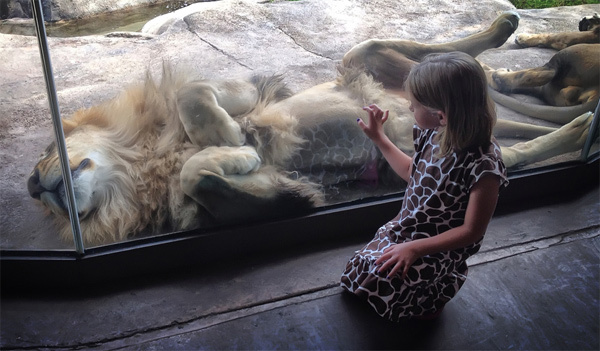 If it’s a weekend or a holiday when millions of couples in love and families with children visit zoos to “make friends” with animals, you may forget about good photos. Children will run all around shouting, their parents will try to prevent them from jumping into cages, cameras will burst with hundreds of flashes. That’s a bad atmosphere for being attentive and taking good photos. Moreover, in a crowd it can be impossible to come closer to animals and to take good photos. There is a risk that somebody will push you, stain your clothes with an ice cream and shots can be spoiled with somebody’s backs. That’s why if you want to have a pleasant photo session you should better go to a zoo on weekdays or early in the morning when the town is just waking up. But if you can go to a zoo on weekends and no other days, the only object you still have a chance to take unforgettable pics of – whom do you think? – are the people. When people come in direct contact with nature their true emotions are reflected on their faces and you can catch them with a camera. Weather is another factor which should be taken into account. And if you think that hot sunny day presents a great chance to take impressive photos then you’re mistaken. Dull weather is a real godsend for photographers (hey, I’m not joking!). Cloudy days present more mild lighting and you can get better results. Not so long ago I wrote about bad weather and photography for Photodoto, so if you’re interested in it you can view the Bad Weather Photography Tips post and compare your thoughts with mine. Barriers, Wire Meshes and Glass Enclosures. 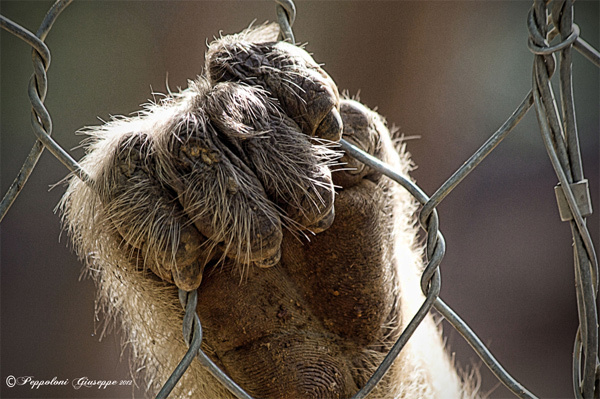 There are 3 most popular types of animals’ cages in a zoo: gratings, wire meshes and glass enclosures. Let’s start with ordinary grating barriers. As a rule in grating enclosures you meet grass-eating animals which are not aggressive and which you can come closer to. You can even put your camera through rods of grating if nobody sees you at that moment :). But you should be careful and remember that some animals can hurt your camera at a distance: camels can spit at it and elephants have long trunks. In fact I don’t remember in which enclosures elephants are kept – it’s been a long time since I’ve visited a zoo last. Wire meshes are considered to be the worst type of barriers for a good photography. Such cages enclose predators and birds. They are really dangerous and you shouldn’t break zoo rules with them. Small holes cause this barrier to be always dirty: dust, ice cream, mug, hair and feather – these things you can easily find sticking among metal rods. But usually a wire mesh is quite thin and you can try to hide it with camera adjustments. You should open the aperture as much as possible and get your lens longer to maximize focal length. Thus you can make a wire mesh almost invisible. And don’t use auto focus – most likely your camera won’t understand you and will “think” that the wire mesh is the thing you’re taking photo of. Manual focusing is a quite tedious task, but it’s always worth trying. Glass enclosures. Taking photos through a glass is a real pain in you know where. Undesirable reflections and patches of light will follow you on every turn and you should experiment with angles while trying to take a clear photo. Of course you can take some tripods and polarising filters for them, but animals will hardly wait for you to be prepared. 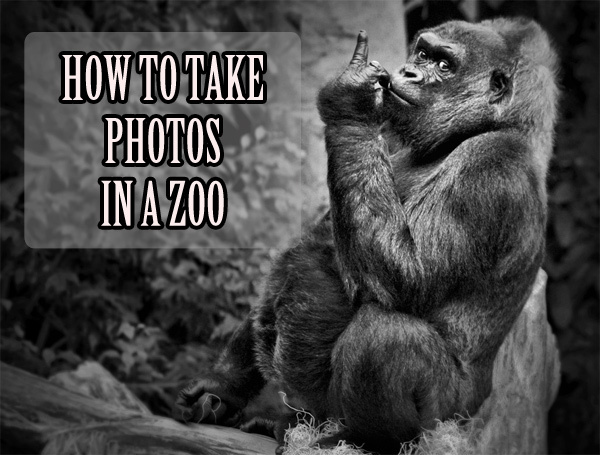 That’s all I wanted to tell you about taking animals photos in a zoo. Do you have a good zoo around? Don’t worry if you don’t and improve your skills on your neighbor’s cat (try not to experiment with your own pet, it can take a vengeance on you). Pet a cat to relax it. Grab it and place in a cage. Make sure that the cage is well closed and the cat can’t touch you (you may be sure it’ll do its best to scratch the hell out of you). Wait for a few minutes till the cat understands that it’s been fooled. The cat will kindly “ask” you to let him out, but you have to be strong and resist its hypnosis. 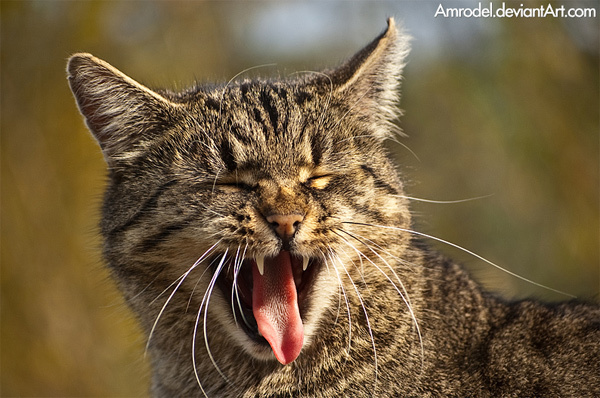 Your model will understand that you’re indifferent to its meowing and will start fighting for freedom. 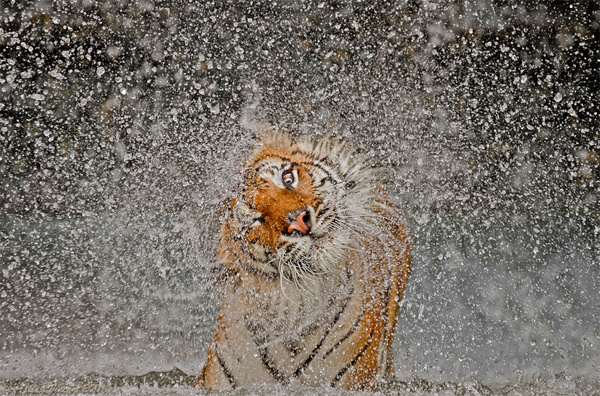 That’s the moment when you can start taking photos of a wild and very angry animal. When you’re completely satisfied with a photo session you can set the cat free. Stay away from it for about a month. The cat needs some time to get over the shock and stop hating everything about you. I hope you’ve come to the right conclusions and sooner or later you’ll present some of your zoo photos to us.